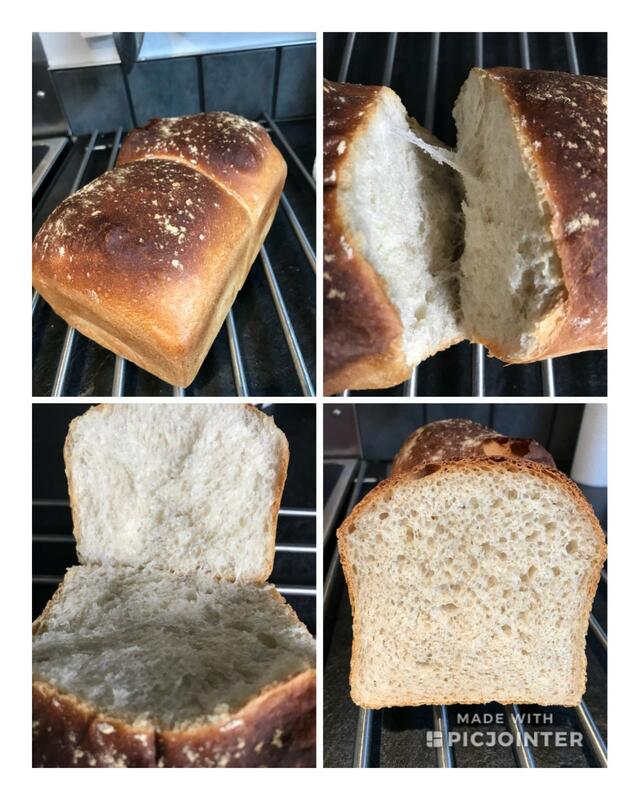 Home > Irish Batch Loaf..
Have been wanting to try this for awhile Batch loaf made with lard or dripping. A very basic loaf flour,salt,yeast,lard and water. I just made half the recipe to see if I liked it. And a pleasant surprise was it was really nice...a lovely soft loaf that tasted great. The dough was a bit wet but worked ok..
650g flour, 10g salt,10g yeast, 35g lard, 450g warm water. Baked at 220c 30 min...a shelf above middle in the oven it’s suppose to get a blackened top. The crust was lovely. I will make the full recipe next time.